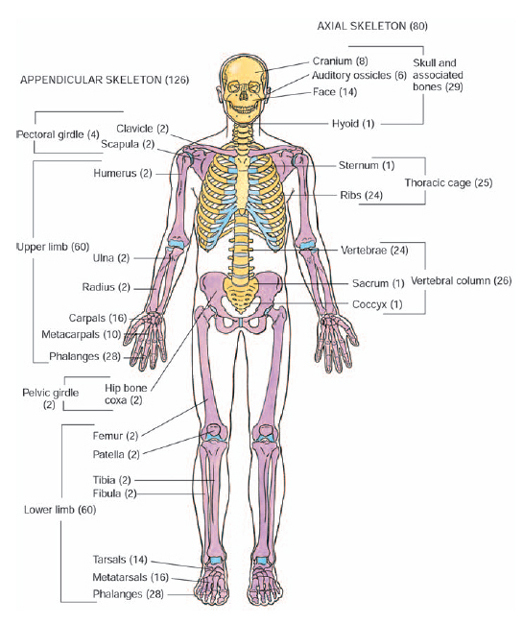 What are the major divisions of the human skeleton? The human skeleton has two major divisions: the axial skeleton and the appendicular skeleton. The axial skeleton includes the bones of the center or axis of the body. The appendicular skeleton consists of the bones of the upper and lower extremities.